These Chinese style pork wraps are great for a quick dinner and they offer a good way to use up any leftovers. Don’t just stick to carrot and spring onions, why not try baby corn or red pepper too? It is important that the oil is really hot in the pan to give the pork a crisp coating, if it is not hot enough the cornflour will be slimy. Knife Skills (Bridge & Claw); Using the hob (under adult supervision); Grating. Knife, Chopping Board, Bowl, Spoons, Grater, Frying Pan, Wooden Spoon. Place the shredded pork in a bowl, add 2 tbsp of water and mix. Add the cornflour and lightly mix again. Put a frying pan on a medium heat with 3 tbsp of vegetable oil. When hot add the pork in individual strips and fry for 30-40 seconds until browned, then turn over and leave to fry for a further 30 seconds. Repeat until all of the pork is cooked, take off the heat and place the pork in a bowl. Grate the carrot and shred the spring onions and place in a separate bowl. Pull the iceberg lettuce into leaves and place on a plate. Add the hoisin sauce and the sesame seeds to the warm pork and stir well. 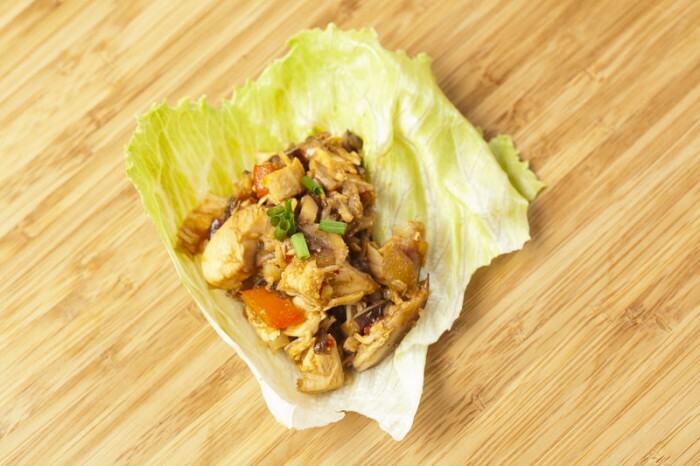 Serve by spooning the pork mixture into a lettuce leaf, add some carrot and spring onion, roll up and eat. 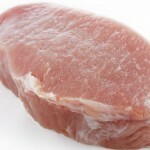 Pork is a good source of high quality protein, B vitamins, iron and zinc. It’s a relatively cheap meat and it’s also one of the leanest meats, providing you stay away from the high fat products such as sausages, bacon and salami. Vegetables are so good for us! Low in fat, sugar and calories and high in vitamins and minerals. 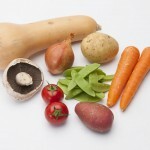 Add a range of different vegetables to your wrap to add interest, colour, flavour and nutrients!